Ever since I got my stubby little fingers on an Ever Ours dress, I have been obsessed since. Quite literally, I find myself on the site everyday. Wanting it all. And then last week Kim wanted to send me a dress, hell I wasn't going to turn this down, not knowing I've produced a lot of dribble from staring at these beautiful dresses. 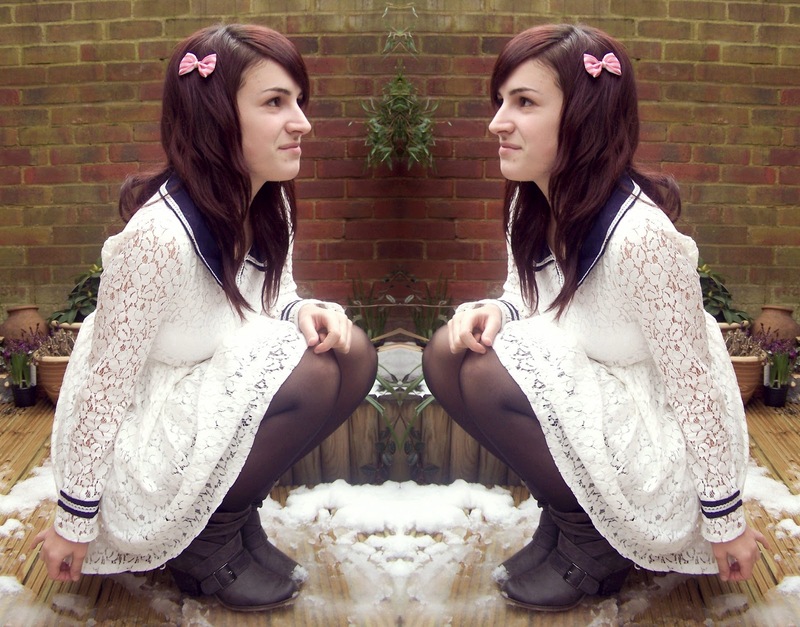 Everything I'm currently wearing is white and lace. Possibly not the best thing for someone who gets toothpaste down themselves in the morning, followed by food at lunchtime. BUT I told myself that I am a grown up and I can do it. I CANwear white and NOT get it dirty. So of course, this dress was put on right away, for the world to see. My love for the lace is pure, and the soft material gives it such a feminine look which can make you look extremely elegant (myself? I do try, I really do). The collar was also the cherry on the cake, with the bold navy print, making me feel like I could become the next sailor at sea. 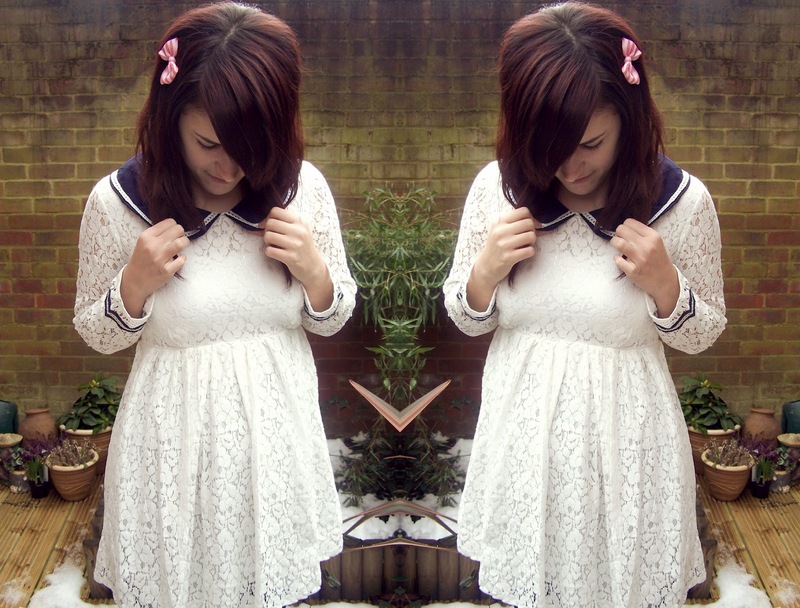 So the fact that I can be a sailor, yet still look like a real lady, makes this dress number one in my wardrobe. And the best part? The fact that my rear doesn't show off to the world! And I bet that pleases everyone (well most). Until I twirl in it.. I'm also going to apologise to you and your purses, and hold full responsibility should you end up procrastinating and penniless from spending hours drooling over the website, before making those super adorable purchases.